Case Study Challenge #136 is to take the Muse (JJ Bolton ) card and use it for inspiration using a little or much from the design. Experiment with bold colours or clever designs. I used the frame idea and a photo from 1988 that I have always been going to do something more with. 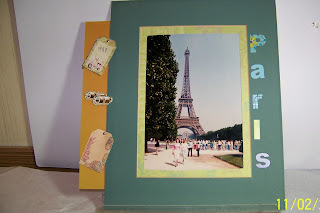 I used patterned card stock for the inside frame then the solid for the outside frame. Join in at Case Study Challenge #136 for this challenge.